On Tuesday voters took to the polls in Washington to decide whether or not to require GMO Food to be labeled in Washington. 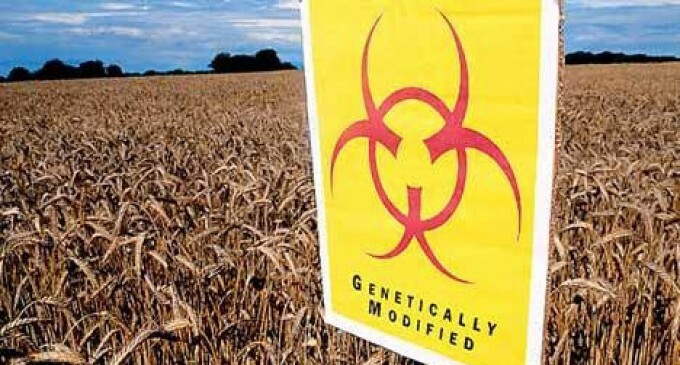 In the end, they voted not to pass the people’s initiative 522, “The People’s Right to Know Genetically Engineered Food Act”. Perhaps many were swayed by secret contributions against passing the initiative, from food and biotech corporations. These campaign contributions were exposed partway through the process. Consumers in America still have reason to be encouraged, although in Washington state the initiative failed to pass. In California last year, a similar provision narrowly failed to pass, but concern over the issue remains strong. Other states are considering GMO food-labeling initiatives, too. The momentum gained is a remarkable victory in itself, achieved in the face of enormous resistance from multi-billion dollar food and biotech corporations—which, by the way, tried to hide their identities from voters by laundering their campaign donations through a “brand defense” account created by the Grocery Manufacturers Association of America (GMA). It didn’t work, however. The GMA was sued by the state Attorney General for violating the state’s campaign disclosure laws, and within days, the identities of the companies paying to defeat I-522 were released. Not surprisingly, the list contained the usual suspects. Pepsi, Coke, and Nestle—authorities of junk food and primary purveyors of chronic disease—were the top funders trying to hide their stance to avoid backlash from the customers they deceive. Last year, we lost the vote in California’s Prop. 37 by the narrowest of margins. However, the Prop 37 campaign created massive awareness across the US, awakening millions of Americans to the issues surrounding GMO’s. With mounting evidence of harm, food companies and biotech companies can no longer be allowed to hide such ingredients. You have the right to know what you’re feeding your family. This is a major step toward correcting the problems within the food industry. But we can do more. Planting “Victory Gardens” across the nation will help support a growing movement toward a saner, healthier America. I encourage you to join us, and grow some food of your own. If you have a surplus, give some to your neighbors. Also remember you can ferment your veggies, which will provide you with superior, nutritious foods during the winter months. This is how your ancestors used to feed themselves, and it’s time to revive some of this crucial knowledge about food. The Washington initiative did not pass, but this does not mean consumers should give up. Initiatives elsewhere stand a better chance since the food and biotech industry tactics have been exposed in the Washington campaign. Bearing this in mind, voters may pass a similar initiative in the future. Washington State did NOT approve this bill, this is just plain false reporting! @waitaminue Thank you for pointing this out. The original version of this article was based on an out-of date source that was published before the final vote count. We have edited the article to reflect the true outcome of the vote. Sorry for the error; we take these issues seriously and want to ensure the right information gets out there!